Private Flu vaccines have arrived. 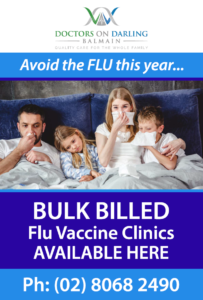 Appointment’s for a flu vaccination only, will be bulked billed directly to Medicare. If you are eligible for a government funded vaccine we expect delivery in mid to late April. Previous PostPrevious We’ll be open!